NEW YORK, May 5, 2014 – On the heels of a successful and award-winning year, including being named “Best Branded YouTube Channel” by Mashable and numerous Webby Awards, PBS Digital Studios today hosted its first-ever NewFronts presentation at the Hudson Theatre in Manhattan. Along with presentations highlighting content from its network of more than 30 online series, including co-productions with PBS member stations, PBS Digital Studios announced four new series joining its lineup of popular originals. Joining the PBS Digital Studios network later this year will be “Frankenstein, M.D.,” a scripted series from Pemberley Digital, the creators of the “Lizzie Bennet Diaries” and “Emma Approved,” as well as “Pancake Mountain,” a reboot of the cult-favorite musical variety show that featured more than 150 popular music artists. 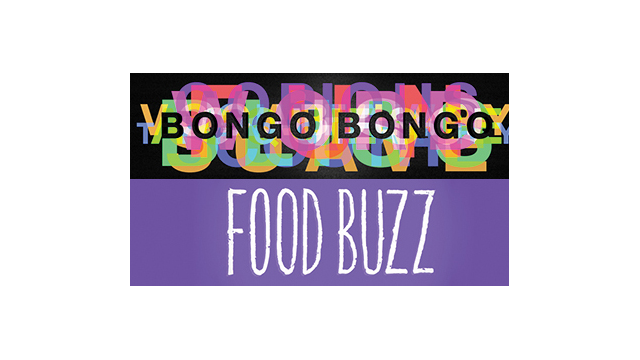 Launching on PBS Digital Studios today, in partnership with Magnet Media, are “Bongo Bongo,” which explores the history of English-language words, and “Food Buzz,” offering viewers a fast, funny look at the latest news in the food blogosphere and the history, science and psychology behind a variety of food memes. These new programs will join PBS Digital Studios’ lineup of critically acclaimed series including Webby-Award winning “PBS Idea Channel” hosted by Mike Rugnetta, “Blank on Blank,” which animates lost interviews from cultural icons such as Grace Kelly, John Lennon, Tupac Shakur, and many more and “It’s Okay To Be Smart,” presenting science like never before. PBS Digital Studios also includes more than a dozen co-productions with PBS member stations across the country. Emmy Award-winner Bernie Su is the executive producer of “Frankenstein M.D.,” the first scripted series for PBS Digital Studios. Later this year, eight episodes will roll out each month, following the obsessive, eccentric prodigy Victoria Frankenstein through her medical experiments. Viewers will follow the action through her YouTube channel. A reboot of “Pancake Mountain,” a musical variety show for kids and parents, created by filmmaker Scott Stuckey, will launch this summer. Some of the biggest names in music, including Kings of Leon, Jason Mraz, The White Stripes and Katy Perry, have appeared on the series. Each week, a new episode of “Pancake Mountain” will be released, featuring some of the beloved characters from the original series, plus some new faces. The series will capture the imagination of the audience through a variety of skits, musical numbers and dance parties that made it so popular. “PBS Digital Studios is adding a jolt of energy into the way original series are being produced, which why it’s the perfect home for ‘Pancake Mountain,’” said Stuckey. In collaboration with Magnet Media, “Bongo Bongo” and “Food Buzz” launched today on YouTube. In episode one of “Bongo Bongo,” comedic host/writer Ethan Fixell tackles the root of the word “rant” and looks at some of the most memorable rants in celebrity, sports and politics. “Food Buzz” host Chris Hauselt explores sriracha, a hot topic in the world of food, in the first episode. Both series will release a new episode each week. Since its launch in 2012, PBS Digital Studios has grown to more than 1 million subscribers across the award-winning network. More than 30 PBS Digital Studios series, including local productions in partnership with PBS member stations, are available on YouTube, Roku, Xbox, Apple TV and PBS.org, and average more than 5 million streams each month. The PBS Digital Studios network on YouTube includes more than 30 web original series designed to engage, enlighten and entertain online audiences. Combining a YouTube sensibility with a PBS commitment to quality, the PBS Digital Studios network has more than 1 million subscribers and has generated more than 75 million views. Series include the multiple Webby Award-winning PBS Idea Channel, as well as popular series such as Blank on Blank, It’s Okay To Be Smart, Everything But the News and more.